It may not feel like it yet, but warmer weather will be here soon. Our workroom has caught up from the winter blues of February. 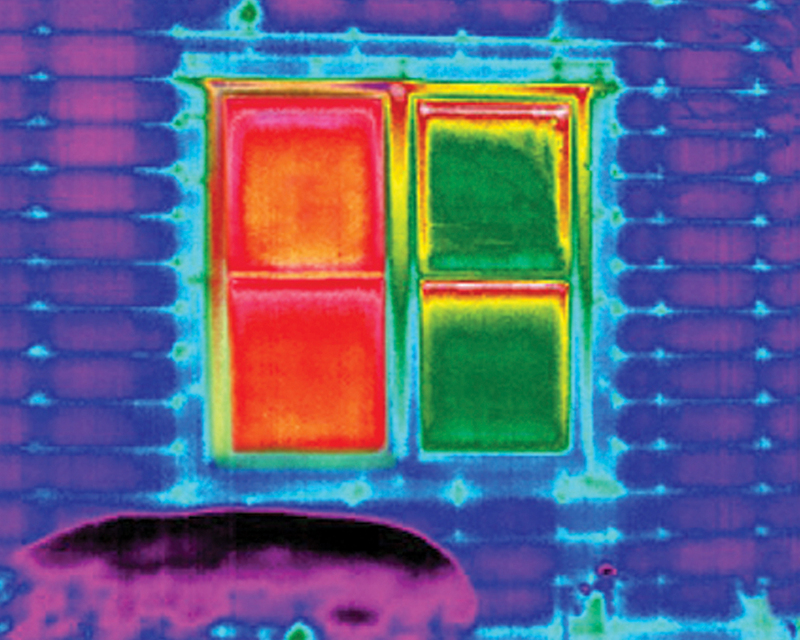 Our installations are now up to date and back on schedule. The studio has been reorganized with the many new fabric sample books that arrive almost daily, and my calendar has been filling up rather quickly with client appointments. 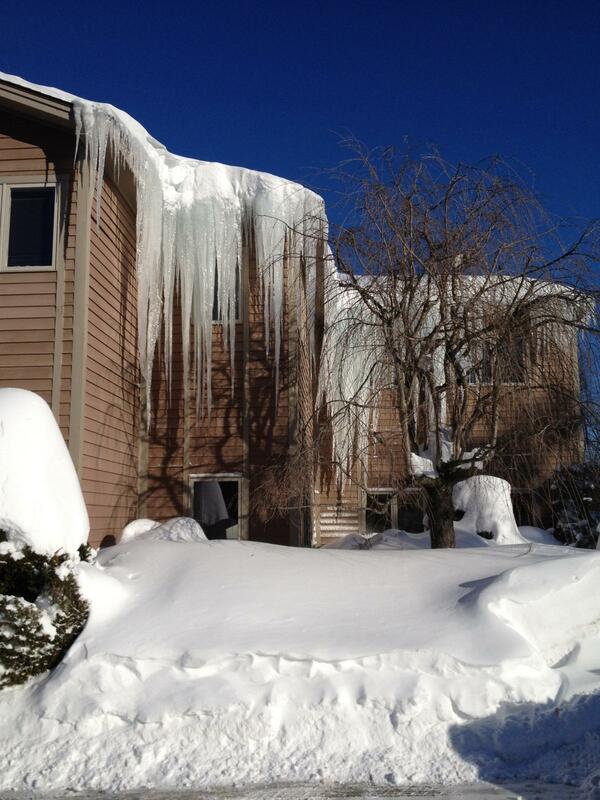 I am very fortunate to have wonderful clients that have homes throughout New England. 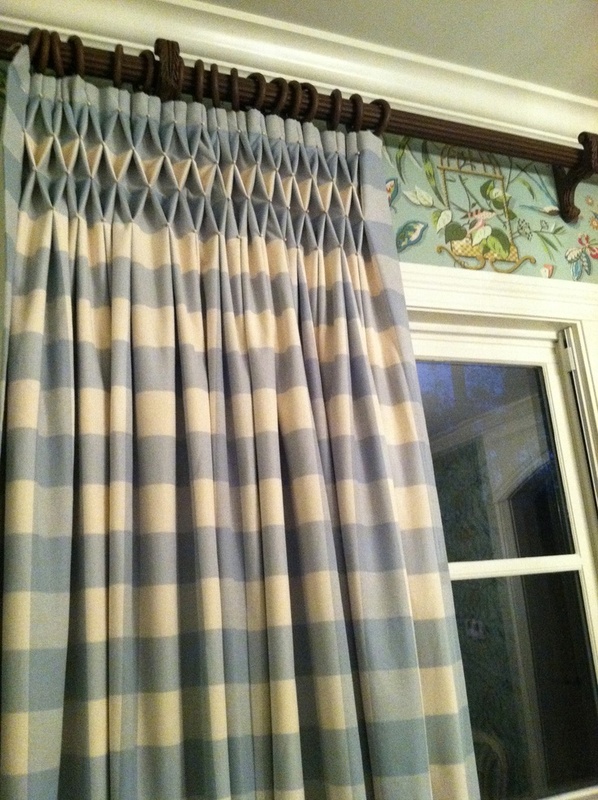 This past week we installed window treatments on the Cape one day and the next day in the Berkshires. People always want to know what we’re making in the workroom everyday. And while our projects can range from elegant custom pillows to gorgeous swags, lately I’ve noticed that the stationary panel window treatment is very popular. We are almost always working on one in our workroom. 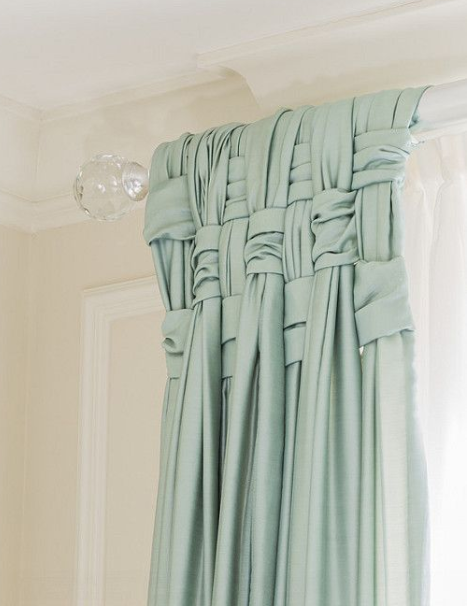 Often the pleat style at the top becomes the focal point of the drapery and/or the focal point of the room. 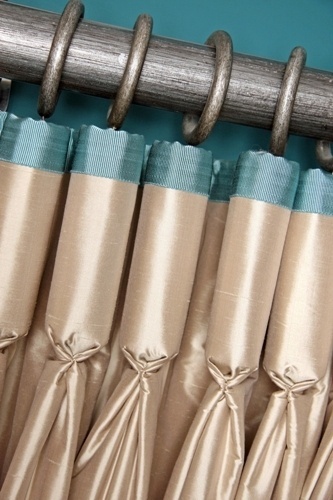 Take a look at some of the more traditional and innovative drapery styles that really showcase the various ways to customize a stationary panel. The possible designs are limitless. 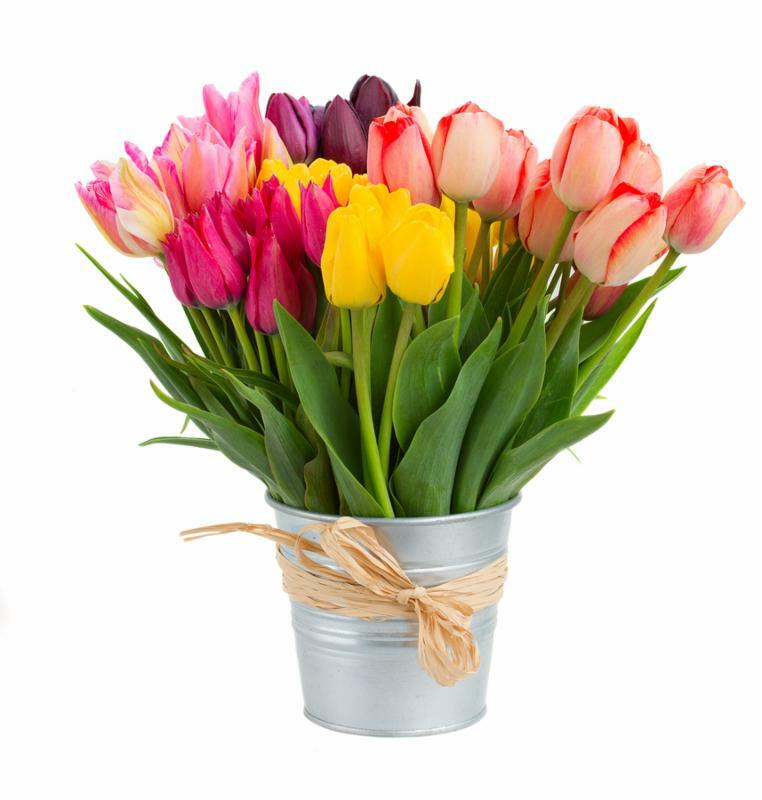 You’re sure to find a favorite for your home! Goblet Pleat– A little more formal, the plump round shape creates a luxurious look. 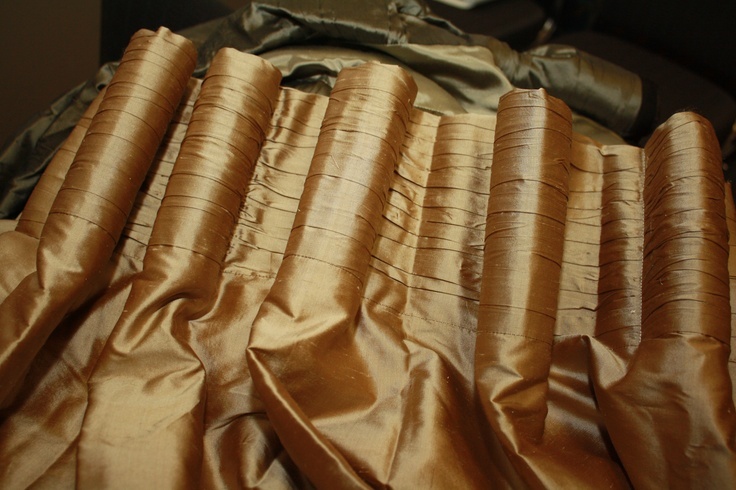 These pleats have a silk banding along the top to add a little more detail. Smocked Heading – Made to look like the smocking on a little girl’s dress. These tucks are hand-sewn in place. Wouldn’t this look beautiful in a bedroom? Cartridge Pleat – Defined as a cylindrically shaped pleat, it’s considered to be a sleek, tailored, and more contemporary look. Weave Top – Intricate design. 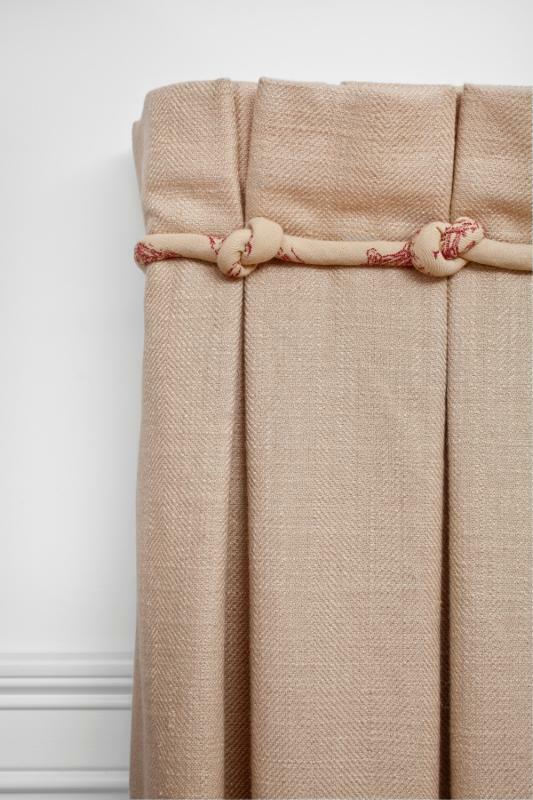 Top of drape is woven onto a decorative rod. Stunning! 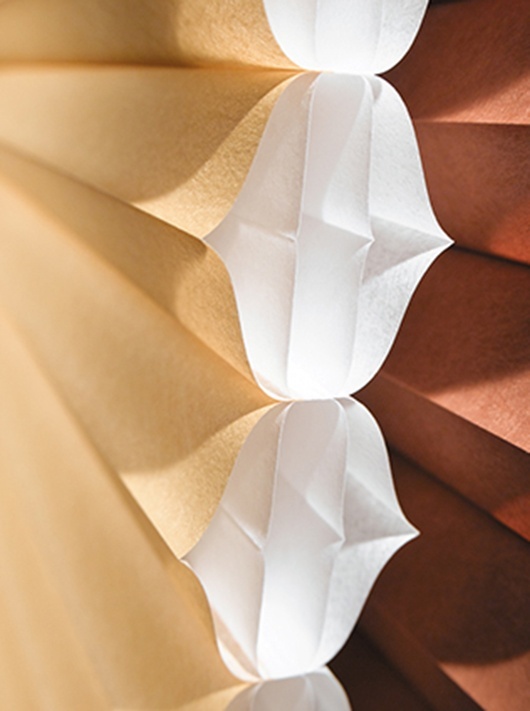 Box-Pleat – Beautifully, flat heading with inverted folds, creating a more tailored look.